Let me know if you'd like me to scan my copy for you. I apologize if I'm hijacking Mattml430's thread, but it seems like I've "always heard" that non-counterweighted crankshafts, like in our DBs, can't be balanced with the entire reciprocating assembly. But I'm not an expert on engine balancing, and I can't remember what the exact reason was, so is that correct? If it is not correct, could somebody explain to me why what I have "always heard" is wrong? Thanks a lot. Bear in mind that you must have exactly the correct top saddles or they won't work correctly. I do not like Nolan Sykes's videos because he is a real intellectual lightweight who knows a lot less than he claims to, and makes things up. He made a lot of historical mistakes with the DV v. Ford video. 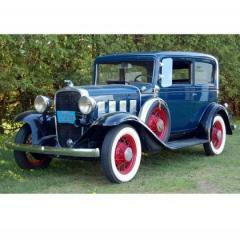 For example, Dodge Bros. never bought Ford, nor did they ever invest $10,000 in Ford. The old timers in the Dodge Bros. Club told me that when using an electric fuel pump with the Stewart carburetor, fuel pressure should be regulated down to 1.5 pounds. The Stewart was gravity-fed, and can't take very much fuel pressure. I discovered that struggling to get a vacuum tank working, and having to thoroughly learn its theory of operation in order to make it work, built character. My head is puffed up bigger than ever, and I'm a really proud DB owner now. I recommend it! Why in the world are you encouraging 30dodgedd6 to use this site as an ebay auction? The site is supposed to be about maintaining and restoring DB cars, not making a bunch of money off of emblems and incessantly and repetitively posting in order to do so. This shows a serious lack of class and good judgment, IMHO. best rear axle/transmission oil/grease in 4-cyl. DBs? This is obviously a case of, "If you can't say something nice, say nothing at all." These are the two types of wheel bolts that were used on my late-series '22 touring car: Your 1918 model used 25" wheels and a 33 X 4 tire, whereas my '22 uses a 24' wheel and a 32 X 4 tire, so possibly your bolts might be different. The DB Master Parts Book doesn't even try to list the wheel part numbers for a whole blanked-out range of cars, I think because they changed the wheels so often. In the attached picture of the different types of wheels used, would anybody know the production dates or car numbers involved? There are two kinds of wheel bolts securing the spokes: short ones and long ones, and not even the wheelwright shops have them any longer. When I rebuilt my wheels a few years ago, I was able to buy new short bolts from a Model T supply company, but not the long ones. Since I was missing a few of the long ones, I had to have them made by a machine shop. Matthew, I believe that even though an older diesel vehicle in California may be technically "exempt" from smog inspection, they can therefore and nevertheless charge you a large environmental mitigation fee (so large that you don't want to register the car!) when you register it, as a quid pro quo for the smog exemption. I hear about this all the time from owners of old Mercedes diesels, but since all of my information is second-hand, I can't say for certain that such is the case. Check me out on this with the DMV, and let me know what you find out, would you? Thanks. See if you can figure out the real reason for the low price. Maybe there is an unpleasant surprise awaiting the buyer? Like auburnseeker said, check to see if all the smog equipment is there, and the last time it passed smog. Is it currently registered, or is there some problem preventing it from being registered? Does the seller have good title? Check his chain of title. In order to register it, would you owe the air pollution registration surcharge that the DMV sometimes imposes on old diesels, and how much would it be? (it might be a lot!!). Did the seller ever register it, or is he expecting you to do it, and if the latter, why? Is there an engine problem that maybe he is not telling you about? Has it been in an accident? Was the frame ever repaired? Rust issues? Etc. Definitely have a mechanic who knows about Ford diesels inspect it before purchase (unless, of course, you decide that it is such a smokin' deal that you're willing to purchase it despite title or mechanical problems). 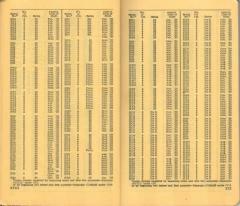 Actually the answer appears in the 1928 Master Parts Book reprint. On page 203 it says the horn button was moved from the door to the steering column with car no. 705679 on or about April 15, 1922, but the electrical system wasn't changed over to positive ground ("reversing battery in battery box") until car no. 780960 during the first week of October, 1922 (page 208). So according to the Master Parts Book between April 15 and only early October, 1922 the cars had a 12-volt negative-ground system but the horn button on the steering column; however, my car (no. 807012, produced during the third week of November, 1922) seems to have had a negative ground system, too, according to the way it was set up and the instruction manual that came with the car, which I was informed by the previous owner's daughter, and had every appearance of being, the original. The top rests were standard equipment until November 21, 1921 on touring cars and until January 5, 1922 on roadsters, so they were not standard equipment when your car was produced. After they were no longer standard equipment, a lot of people never bought them. From sometime during the first week of January, 1923 until July 9, 1924 (114" wheelbase cars) the roadster used a part number 14532 top rest on both sides. Then from July 9, 1924 until April 4, 1926 (116" wheelbase) the roadster took a part number 19741 on the right and 19742 on the left. The Master Parts Book reproduction just shows one generic type of top rest, so the pictures aren't going to be any help.